Drug Abuse Resistance Education research papers examine the school-based program designed to teach children about the dangers of illegal drugs and gang activities. 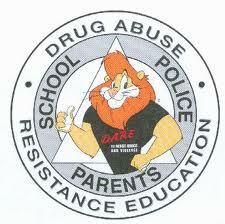 Drug Abuse Resistance Education (DARE) was founded in 1983 by Daryl Gates and is a school-based program designed to teach children about the dangers of illegal drugs and gang activities. Generally, local police officers come into the schools and teach lessons, and the students sign a pledge not to use drugs or join a gang. DARE has been part of America’s War on Drugs, seeking to address the demand side of the equation. Students are able to interact with law enforcement officers in a structured, safe, and friendly environment. DARE programs generally begin in the fifth grade, providing lessons that are supposed to impart in the child a sense of self-empowerment when it comes to making choices in regards to peer pressure on issues such as smoking, drinking, and drug use. DARE programs are instituted in some 75 percent of American schools, as well as in 43 countries around the world. DARE is largely funded through the U.S. Department of Justice, and DEA (Drug Enforcement Agency). Studies of the DARE program have been mixed. One 1992 study at Indiana University found that DARE graduates are significantly more likely to use hallucinogens. A 1995 California report showed little effectiveness for DARE, while the Surgeon General of the US reached the same conclusion in 2001. Illegal Drugs - Illegal Drugs research papers look into the drugs and substances that are sold and purchased on the black market such as heroin, cocaine, methamphetamine, and marijuana. Substance Abuse and Mental Disorders - Substance Abuse and Mental Disorders Drug abuse was found to occur in 28% to 47% of schizophrenics and 42% of people with antisocial personality disorder. Anti-Drug Abuse Act - Research papers on Anti-Drug Abuse Act examine the act put into place to further the War on Drugs. Youth Gangs research papers look at how gangs such as the Crips and Bloods were formed. Paper Masters writes custom research papers on Drug Abuse Resistance Education and examine the school-based program designed to teach children about the dangers of illegal drugs and gang activities.